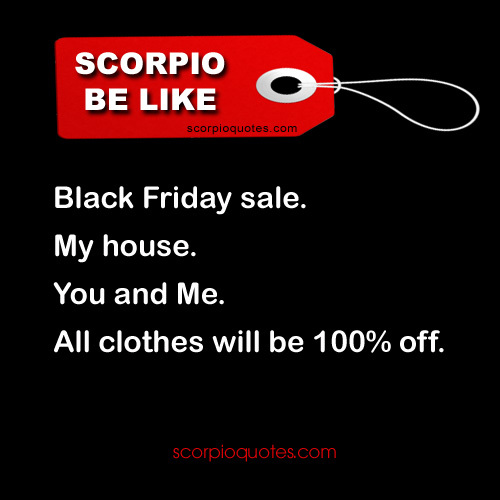 Scorpio Be Like: Black Friday Sale. My House. You and Me. All clothes will be 100% off.